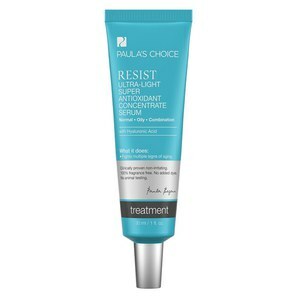 Resist C15 Super Booster is a concentrated, light-as-water liquid treatment product designed to supercharge your Paula's Choice serum, or it may be used alone. This serum combines a blend of 15% stabilized Vitamin C (L-Ascorbic Acid), antioxidant Vitamin E, Ferulic Acid, and peptides to repair visible signs of aging and stimulate collagen production for smoother, brighter and firmer skin. Vitamin C helps to even skin tone. Provides younger, healthier and more radiant skin. Apply once or twice daily after cleansing and toning. 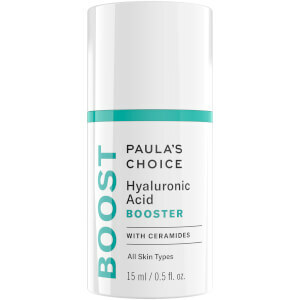 Dispense 2–3 drops and add to your favorite Paula's Choice serum, or use alone and follow with moisturizer where needed. Water, Ascorbic Acid, Ethoxydiglycol, PPG-26 Buteth-26, PEG-40 Hydrogenated Castor Oil, Tocopherol, Ferulic Acid, Sodium Hyaluronate, Acetyl Octapeptide-3, Glycerin, Panthenol, Sodium Metabisulfite, Triethanolamine, Phenoxyethanol. I love this stuff! It has a more gel like consistency but absorbs into the skin after a couple minutes. I agree that it smells like ham, but the smell goes away after putting my moisturizer on. I’ve been using it for about 3 weeks and my skin tone looks more even and my pigmentation looks like it’s lightening up. It hasn’t been broken me out either, in fact it’s cleared up a lot of congestion around my chin. 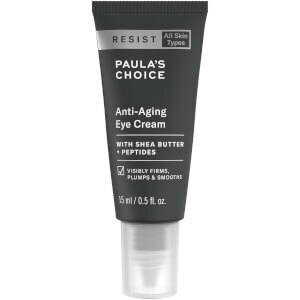 I have bought this product 3 times, having also tried several others including Peter Thomas Roth and Philosophy's Turbo C. I keep coming back to Paula's Choice. It immediately brightens my skin and it appears so much clearer. I don't break out from this, no rashes or stinging. I usually don't put much stock in outrageous claims about skin care products doing magic, but with this one I can see a difference after using it in the morning. After finishing the first bottle, I can definitely say my skin looked better in a number of ways pertaining to pores and fine lines. I will definitely continue purchasing this one. Would not dream of ever going without! I should have expected such excellent quality from Paula's Choice, but I admit I hesitated. Stupid me. This wonder at least doubles (if not more) the effectiveness of any of her serums, including the big silver Retinol liquid gold, as well as other treatments (i.e. skin lighteners), any of the exfoliants, ditto with the moisturizers. Just DON'T mix with your sunscreen (you don't want to dilute the SPF). 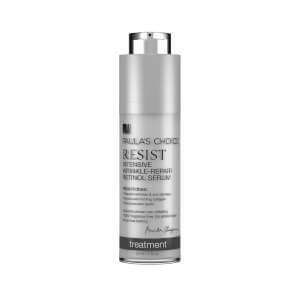 You can use it by itself, as well, tho personally I use it as it is titled: SuperBooster!Made my skin feel smooth as glassand I noticed a significant increase in exfoliation literally overnight.Finally (for now), within 7 days a few stubborn lines vanished from the corners of my eyes. Now I am totally wrinkle free! My skin has been soft and bright since I used it. Really boosts the skin.